Teguise is a town located in the centre of Lanzarote, north of Arrecife and south of Haría. More significant than I imagined (the municipality has 21.152 inhabitants) and, perhaps thanks to the very rainy day atmosphere, the town struck me for the atmosphere that seemed almost surreal. Arriving from the LZ-30, we found a place for the car in one of the large parking lots in Calle José Betancort, and I suggest you leave it here: the historic centre is a pedestrian area, and in the rest of the city it could be difficult to find parking. 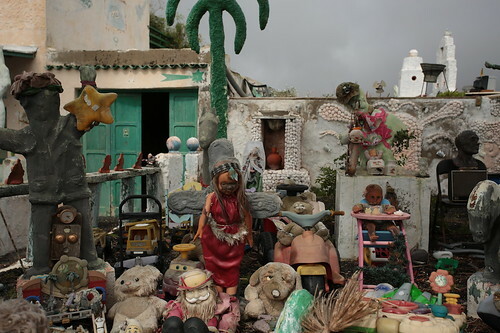 Just next to the parking lot is a sort of “junk” that does not go unnoticed: stop us, I’m sure it will intrigue you a lot (to me, at times, has also put a little bit of anxiety, I must admit). The city centre, with its alleys, the white buildings with some exposed bricks and its “small” palms, impresses tourists for its particular atmosphere (strange, I dare say). Arrived at the main square, you immediately notice the Iglesia Matriz de Nuestra Señora de Guadalupe. 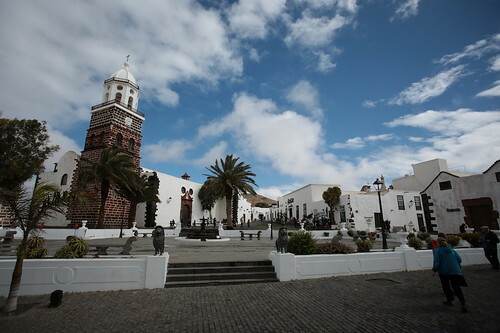 That is the most significant church of Teguise, built in the sixteenth century and is the primary church of Lanzarote, which I honestly would never have expected (I imagined to find it in Arrecife, the capital) and discovering it was fascinating. Overlooking the main square is the small Timple museum, which traces the history of Timple, a typical instrument of the Canary Islands. It is a string instrument characterised by a tiny harmonic box whose name derives from the word “tiple” (“acute” or “soprano” in Spanish) and whose origins probably date back from the baroque guitar or the vihuela, brought to the Canaries by the Spaniards during the colonisation. To turn it all takes less than an hour as it is a small museum, but I must say I found it well done and pleasant to visit. 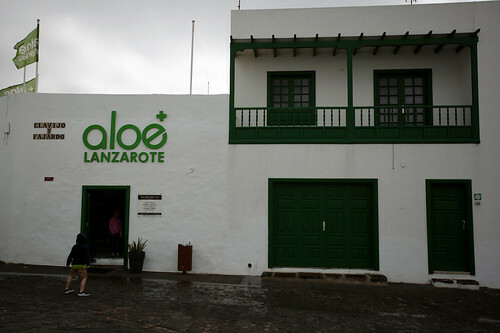 Also in the centre of Teguise is the tiny aloe museum. The admission ticket is free, and there are three rooms: there are some interpretive panels and some aloe plants planted in one of the rooms. In the shop, there are a lot of products based on aloe, and there is plenty of choice for those who want to bring something home. I have to admit that this museum left a bit of bitter taste in my mouth: I had the impression that it was created “out of duty”, without any kind of interest in it. Outside the town is the Museum of Piracy. 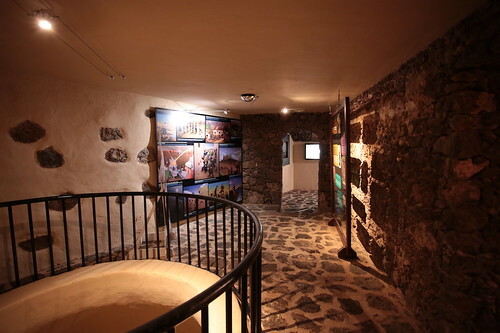 This museum is located in the Castillo de Santa Bárbara, built in the 16th century within the Guanapay Volcano and former home of the Museo del Emigrante Canario. 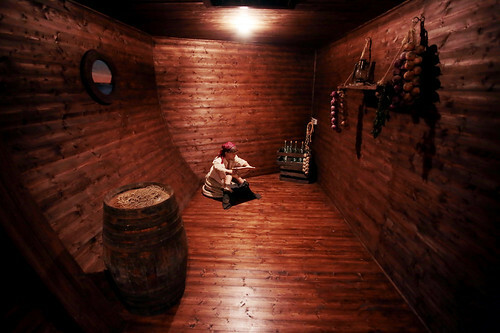 This museum has struck me a lot because, based on models, small reconstructions and explanatory panels that tell the story of piracy in the Canarian archipelago, it is built “up a little” and, despite this, it is undoubtedly a fascinating museum! 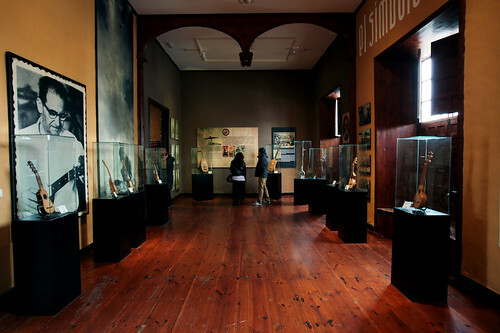 The entrance fee costs 3 euros, and the museum is open every day from 10:00 to 16:00. Today it is considered well of cultural interest. For further information, you can consult the official website (available in Spanish, English and German). Before venturing to the castle, check the weather forecast: the castle is located in an elevated position and during bad weather days with strong wind and rain you could find it closed as it happened to us. The first time we tried to visit it, there was an “orange weather alert”, and the castle was closed (it was dangerous to get there). 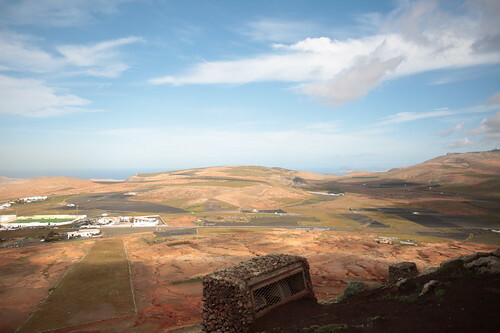 Once you get here, however, I suggest you stop over the panorama: from the top of the volcano you can enjoy a view nothing short of splendid, as from many points of Lanzarote.